Currently viewing the category: "Ideas & Innovation"
With 100,000 how-to books, dozens of entrepreneurship programs in every city and an expert on every website – it should be pretty easy to become a successful entrepreneur. But something’s wrong. 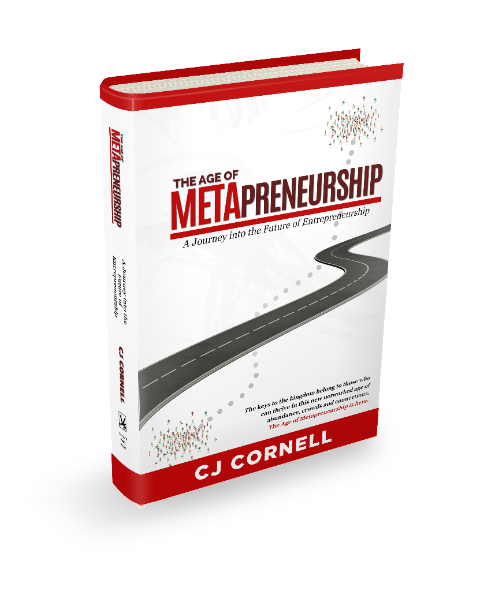 The Age of Metapreneurship is here! Get the book now on Amazon! Techniques and advice that were effective 5 or 10 years ago, will make you an amateur, today. The world changed. Technology and people changed. Yet the field of entrepreneurship hasn’t changed all that much. The old rules and the old mindsets are holding you back. In fact, the more experienced you are, the worse it can get. entrepreneurship – a future that is just emerging now. … a funny, lively, informative book that examines entrepreneurship in a variety of novel and useful ways. A must-read, whether you’re just starting out in the entrepreneurial world, or been at it for a while. This is a must-read for founders, business buffs and anyone interested in startup culture. Well written, timely, and enjoyable. Cults – The institutions, programs, and leaders designed to help entrepreneurs, today are failing them. Abundance vs Scarcity – and how ‘every abundance creates a new scarcity’ is the new business mantra. Scale – is now a required strategy for every startup – otherwise you risk irrelevance: but scaling now can be far, wide, or deep. Crowds change everything – crowdsourcing, crowdfunding and collective intelligence. Movements – the waves of the network: Join them, start them, leverage them – or risk sitting on the sidelines. The Paradox of Experience: The more experience you have, the harder it gets. Cultivating Meta-Value and your Meta-Tribe. THANK YOU for you help and support! The Age of Metapreneurship debuted in Amazon’s Top 20 New Releases! Who should read The Age of Metapreneurship? If you’ve been advising new ventures and guiding them through a bootcamp-like experience – only to see them sputter, and fade away, this book is for you. If you see entrepreneurship in your region brimming, brewing, and percolating -but never seeming to gain critical mass, this book is for you. If you’re an highly experienced entrepreneur embarking on a new venture, this book is for you. The Age of Metapreneurship is like a collection of pieces to an unusual puzzle: Every time you put the pieces together, they form a different picture that is only for you. I love reading Paul Graham. Heck, everyone loves reading Paul Graham’s writings on entrepreneurship and investing. The two best thing things about the Y-Combinator founder’s essays are: 1) They are intensely insightful – from his broad and deep understanding of the startup experience, and 2) They are indeed essays as opposed to the pithy, all-fluff-and-no-substance “5 things you need to know” posts that dominate the web – especially on the subject of entrepreneurship. Ideas: Worthless? Priceless? or 12 for a Dime? I can predict it with near certainty. In every single conversation I have with an entrepreneur, or rather with a first-time entrepreneur, it becomes very apparent they place an comically high value on the one, single, good idea that they have. Whether they say it out loud (“this is a billion dollar idea!”) or by asking me to sign an NDA before I even know their name, they are clearly implying their idea, the thought, carries all the value.